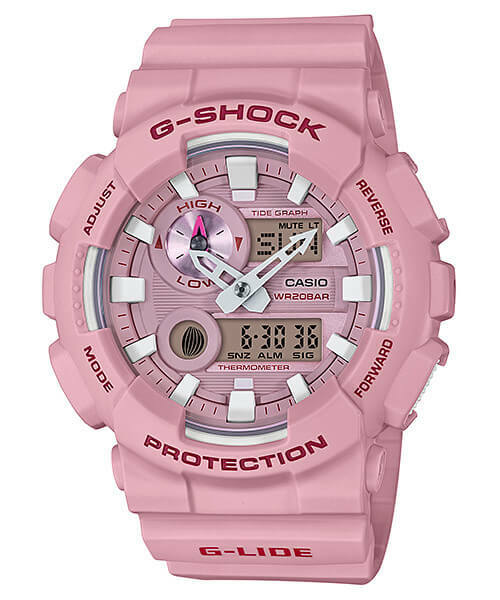 The G-Shock G-LIDE GAX-100 series has been host to some of the more playful G-Shock colorways recently, and the new GAX-100CS series is no exception. 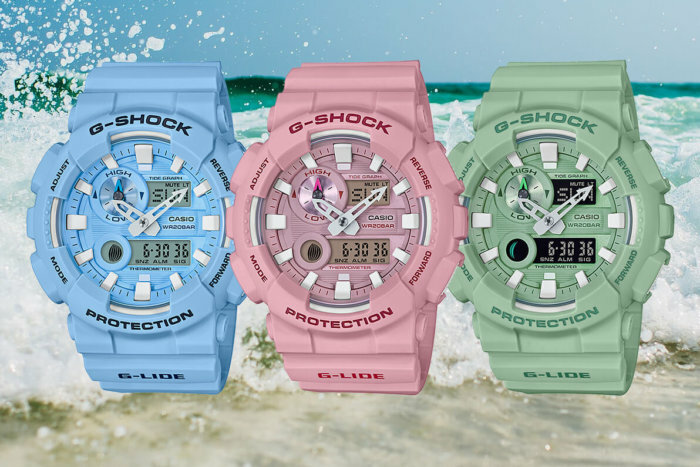 A May 2018 release in Japan, the GAX-100CSA series is available in three surfing and beach-inspired pastel colors, the blue GAX-100CSA-2AJF, pink GAX-100CSA-4AJF, and green GAX-100CSB-3AJF. 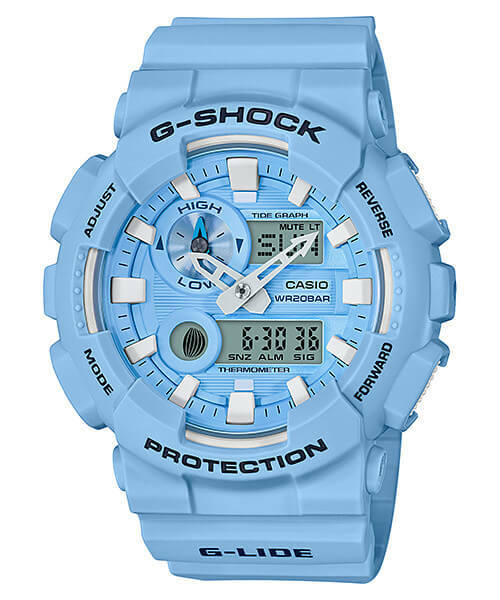 The GAX-100CS is part of the first-ever analog-digital G-LIDE surfing series featuring a tide and moon graph and thermometer sensor. Other features include 200-meter water resistance, anti-magnetic structure, world time, 1/100 second stopwatch (1000 hours plus split), countdown timer (24 hours), 4 alarms and 1 snooze alarm, auto LED light, and estimated 3-year battery. List price is ¥16,000 JPY each. Update: The GAX-100CSA-2A, GAX-100CSA-4A, and GAX-100CSB-3A are also May 2018 releases in the rest of Asia and are expected to be released worldwide. 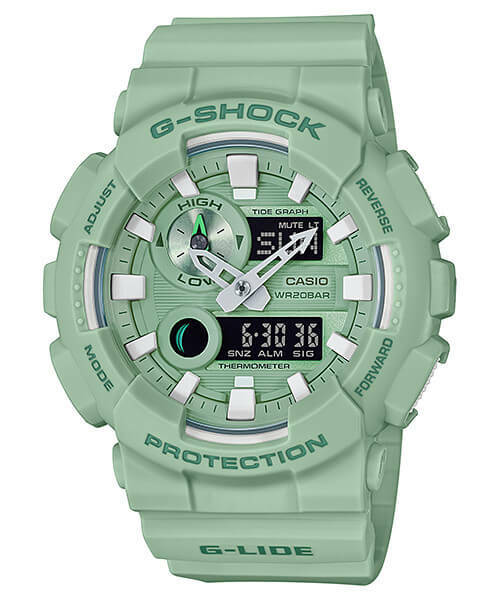 Update 2: The blue and green models match the colors of the Baby-G G-LIDE BLX-560 series.